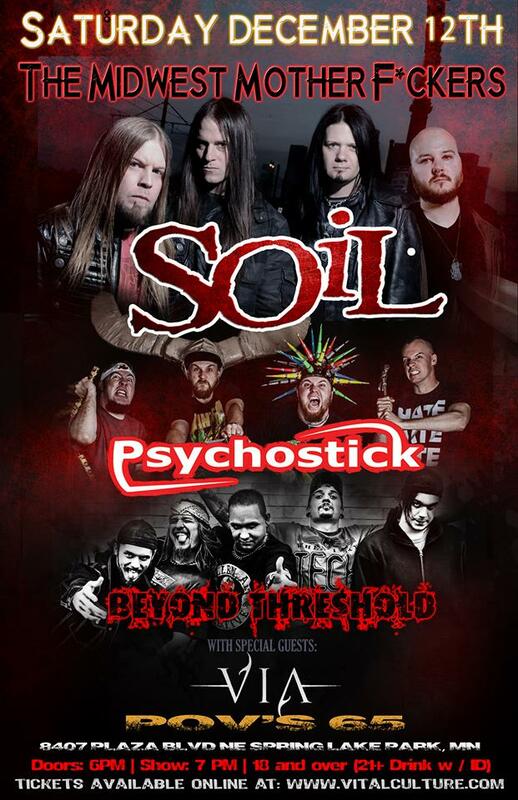 Saturday April 11th, 2015 FM Entertainment presents: Soil wsg: Psychostick & Beyond Threshold in Sturtevant, WI at Route 20 Outhouse!! JUST ANNOUNCED!! Saturday April 11th!! 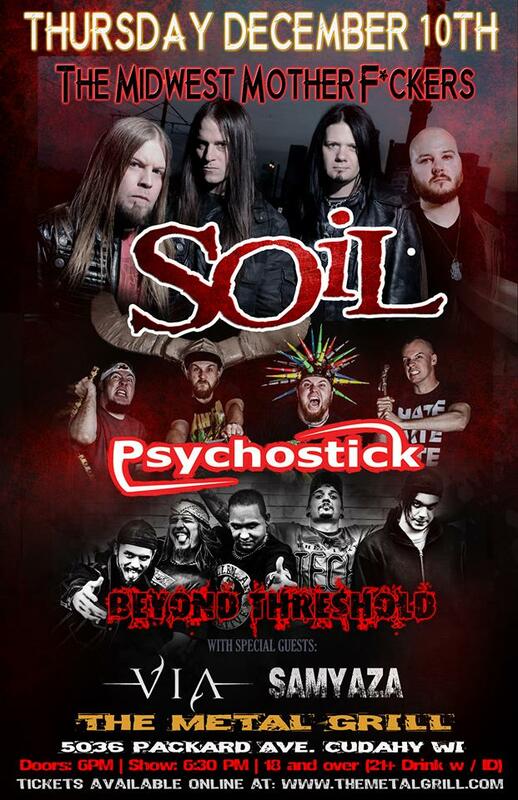 FM Entertainment presents: Soil wsg: Psychostick & Beyond Threshold in Sturtevant, WI at Route 20 Outhouse!! SHARE THIS EVENT to win FREE VIP PASSES!! ✓ Saturday April 11th in Sturtevant, WI!!!! ✓ Special Guests: 3 TBA!! ✓ SHARE THIS POST to win tickets! ✓ We will pick winners at random!! 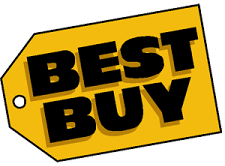 ✓ ONLY $15!! Doors: 6pm – 18 and over!! ✓ Advanced Tickets available at Route 20!! ✓ The more you share the more likely you will win!! ✓ Winners will be able to get FREE entry to the show!! Friday April 10th, 2015 Ardent Entertainment, LLC presents: Soil & Beyond Threshold wsg: Susan Aquila at The Music Factory in Battle Creek, MI!! JUST ANNOUNCED!! Friday April 10th! 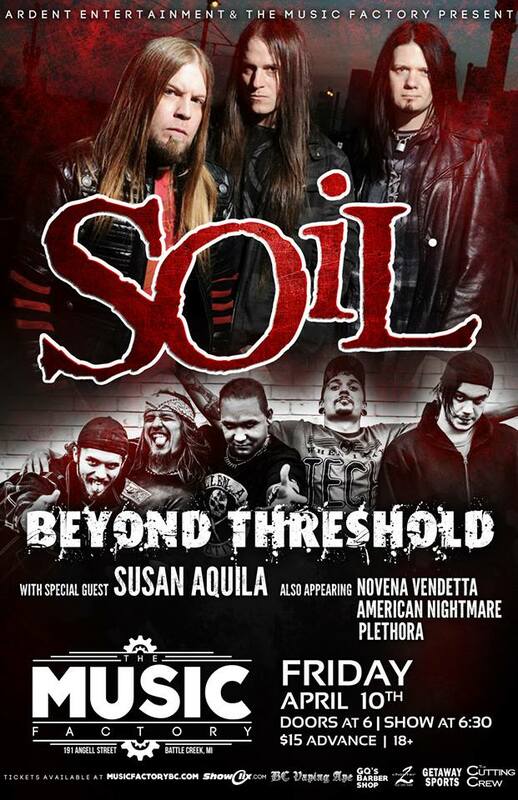 Ardent Entertainment, LLC presents: Soil & Beyond Threshold wsg: Susan Aquila at The Music Factory in Battle Creek, MI!! 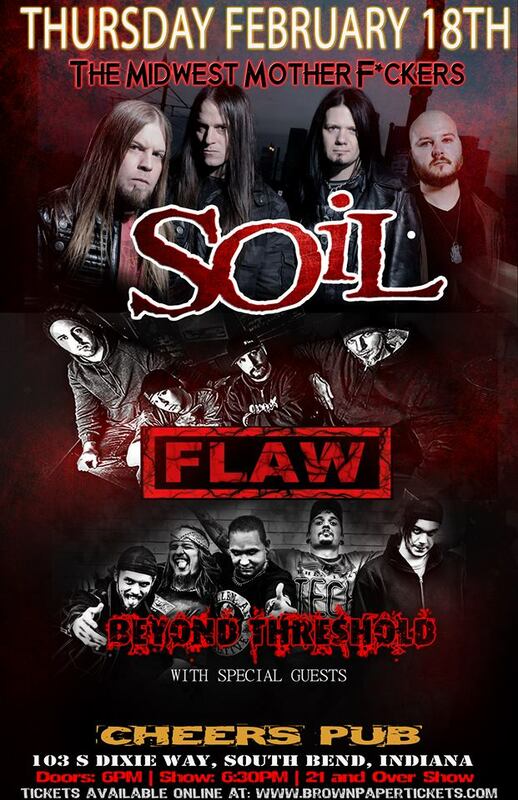 WIN A FREE TICKET – Reply with “SOIL” in the comments below, TAG a friend in this flyer, and SHARE!! ✓ Friday April 10th at The Music Factory!! 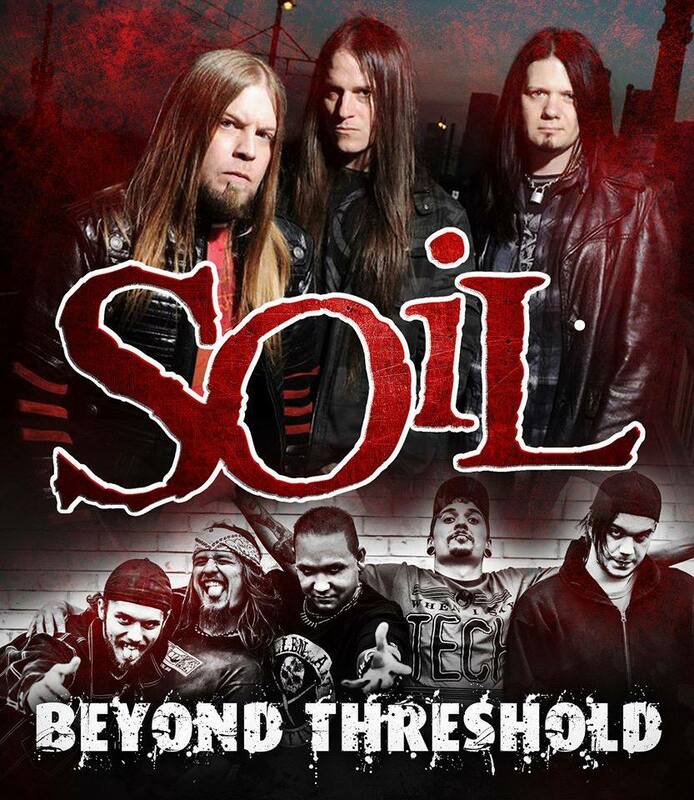 ✓ #SOIL & #BeyondThreshold come to Battle Creek, MI!!! ✓ ONLY $15!! ALL AGES!!! 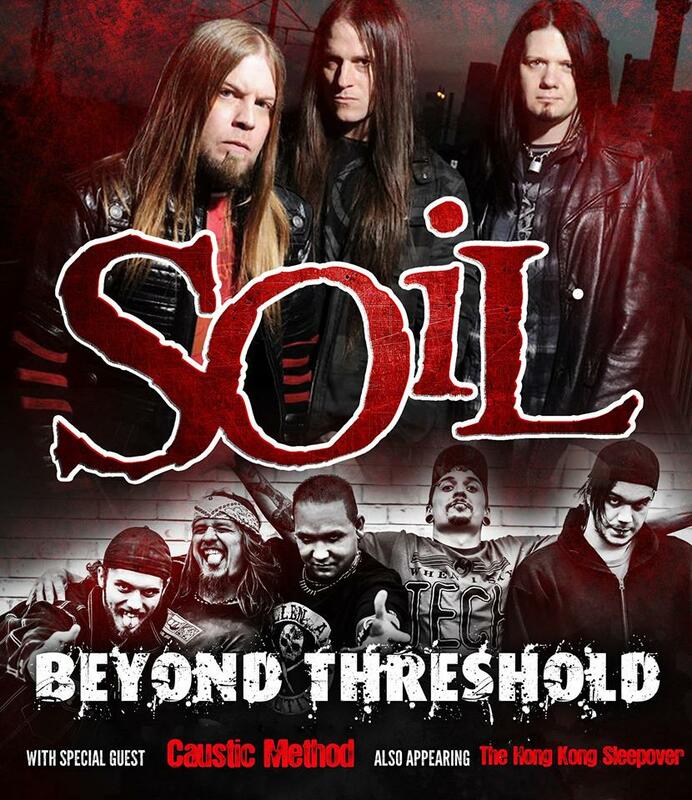 Saturday, March 21st, 2015 94.1 WJJO and The Back Bar presents: Soil & Beyond Threshold wsg: CAUSTIC METHOD in Janesville, WI!! Saturday, March 21st!!! 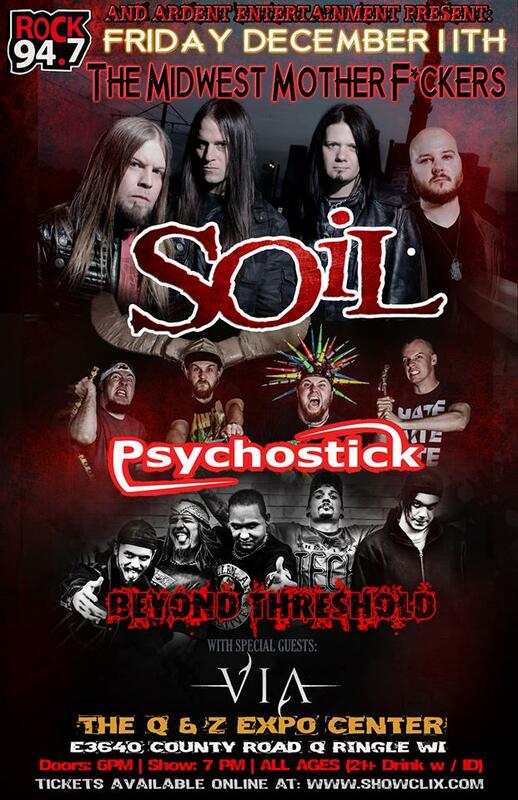 94.1 WJJO and The Back Bar presents: Soil & Beyond Threshold wsg: CAUSTIC METHOD in Janesville, WI!! Want to WIN A FREE TICKET?? 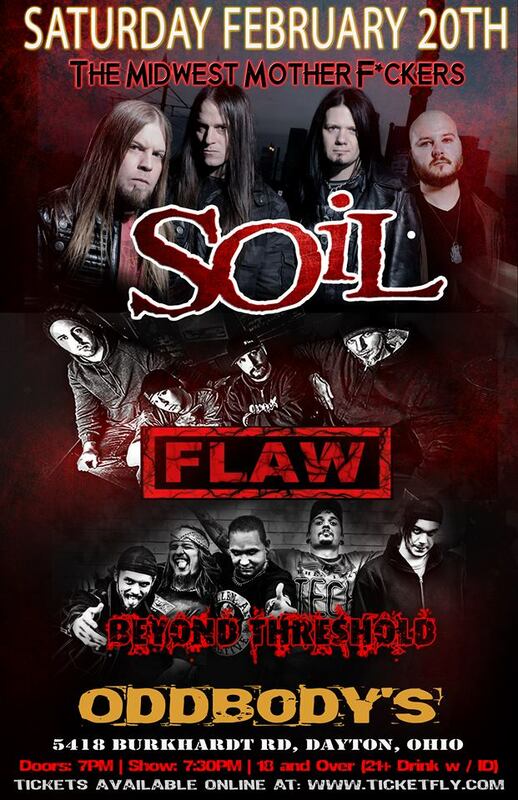 – Reply with “SOIL” in the comments below, TAG a friend in the flyer, & SHARE THIS FLYER!! ✓ Friday March 20th at The Backbar!! ✓ #SOIL & #BeyondThreshold comes to Janesville, WI!! ✓ Local acts: OPAL – Five Star Ruin!! ✓ ONLY $15!! 21 and over show!!! SOIL & BEYOND THRESHOLD wsg: Caustic Method & Hong Kong Sleepover @ The Outskirts in Macomb, IL Friday March 20th, 2015 – ALL AGES!!! Friday March 20th!! Ardent Entertainment, LLC presents: Soil & Beyond Threshold wsg: CAUSTIC METHOD & The Hong Kong Sleepover at The Outskirts in Macomb, IL!! Want to WIN A FREE TICKET?? – Reply with “SOIL” in the comments below & TAG a friend!! ✓ Friday March 20th at The Outskirts!! 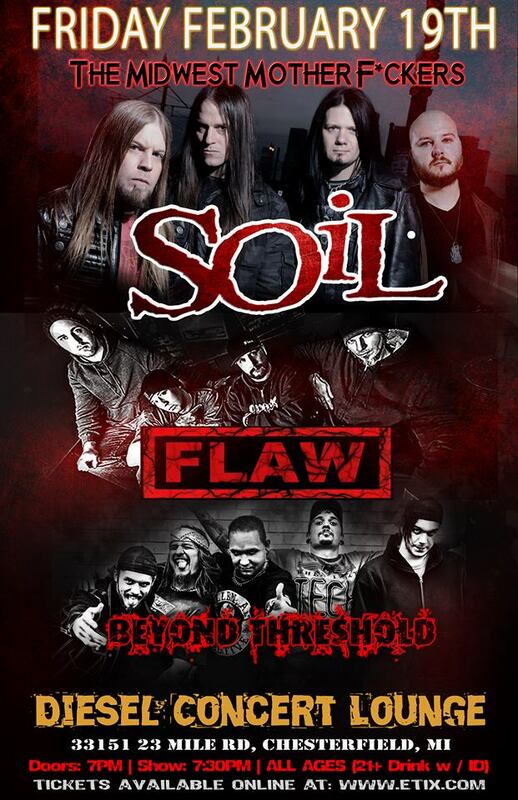 ✓ #SOIL & #BeyondThreshold comes to Macomb, IL!! ✓ Local acts: Hong Kong Sleepover & 2 TBA! !